Savage Marketing Conference 2018 will be launched in its 3rd annual version. It’s set to host CMOs, SVPs, and Sr. The conference divides the entirety of digital marketing into 3 tracks: Data in Marketing, Customer Journey and Content and Mobile Marketing. 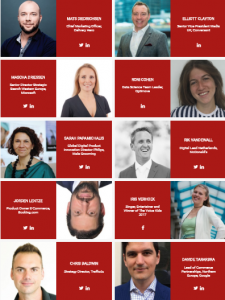 Savage Marketing Conference 2018 will take place from 13 – 14 June 2018 at Amsterdam, The Netherlands. 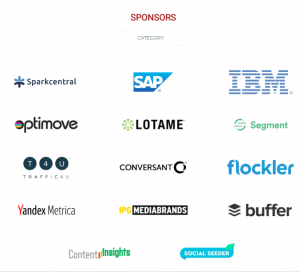 Why should you attend Savage Marketing Conference 2018? Meet over than 60 of the most experts and speakers in the digital marketing industry. Review your insights and dreams together most experienced marketers. Learn from 50+ sessions will be introduced in the conference. Recognize the latest updates and analytics in the digital marketing community. Access to all keynotes, breakout sessions, attendee lunches, networking event, and solutions area. It’s always better when you have a partner in crime. Follow up the Savage Marketing Conference updates here OR discover more Digital Marketing events, conferences & webinars in Europe during 2018 here.